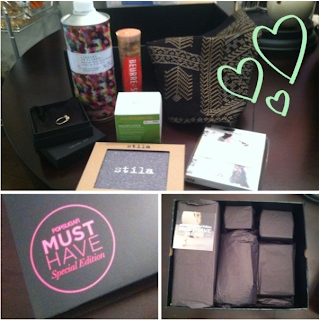 Last week I posted on Instagram a pic of my first Popsugar Musthave box. I have never done a monthly box subscription as I just always assumed they were cheesy and would leave you with more crap you don't need. 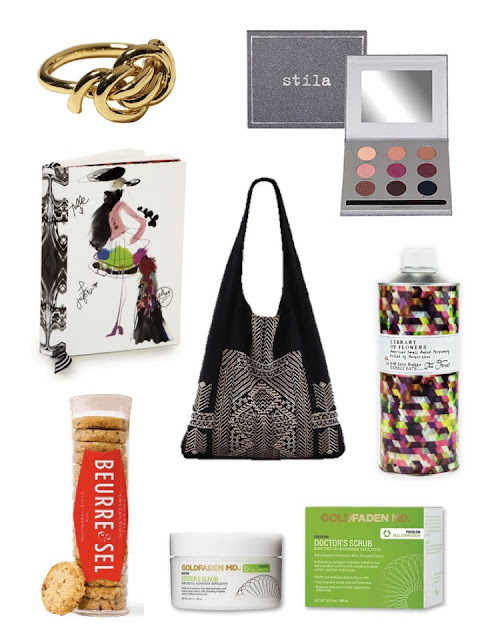 Then recently on a bachelorette weekend a few friends were raving about the Popsugar box and I knew I had to order it. I signed up in the middle of August and the September box was already sold out..bummmer...so I will not get my first regular box until next month. However they also do luxe boxes several times throughout the year and the Fall Luxe box was still available for $100...so I thought I would give it a try. I figure worst case scenario I would have some extra stocking stuffers out of the way for Christmas. I mean who doesn't love good snail mail?! Especially when its a box full of sursies for yourself! Rachel Zoe Gold Single Knot Ring $75: I would have really loved this if there was a way to specify your ring size. I believe they all came in a standard 7 and I am a 5...but I can wear as a pointer finger ring. Stila Luxe Eyeshadow Palette $45: I love Stila products...so I enjoyed this one. Christian Lacroix Notebook $14: A cute little notebook...although I have so many already..this one is going in the gift closet! Cynthia Vincent Shopper Bag $88: There were several patterns you could get for this one. (its also cuter in person!) I use bags like this for flea market shopping all the time because they can fold up into my purse until needed. Library of Flowers Bubble Bath $36: The scent I received was 'The Forest' and it smells like a Christmas Tree! I love a good bubble bath...I just need a larger tub! Beuree and Sel Rosemary and Parmesan Cookies $10: My least favorite thing...after checking out the companies site I wonder why they chose this flavor?! Goldfaden MD Doctor's Scrub $75: This exfoliating scrub is probably one of my favorite things in the box...it feels amazing! Downfall is I have discovered a $75 scrub I will probably continue to buy in the future! So while I was impressed with the luxe edition I am excited to receive my first regular monthly box, as I feel this is a real treat for only $35 a month. 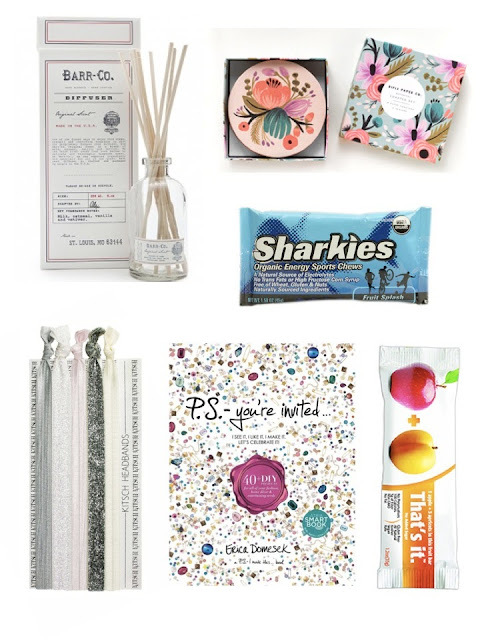 You can sign up for monthly renewal or purchase 3, 6, or 12 month packages...GREAT gift idea for girlfriends or a college student (how fun would it be to receive this in college?!) Even though my first month will be in October I was able to find out what was in the September box to show you an example...I'm pretty bummed I did not get this month! Here is even more information and how you sign up for Popsugar boxes!